I’m an Anglo-Australian living in Sydney, with a passion for theology and Avatar the Last Airbender. I’m the Uniting Church in Australia Chaplain at Macquarie University, and am completing an MDiv through Pilgrim Theological College. I live with my wife Heather, our daughter Shoshanna, my brother Tim, sister Hannah, and a dog named Zeus who’s afraid of thunder. Love Rinse Repeat is a (fortunately non-visual) window into the conversations I rehearse in the shower while I am preparing for discussions that will (most likely) never eventuate. Sometimes it’s helpful to invite other voices into these rehearsals, hence the podcast. 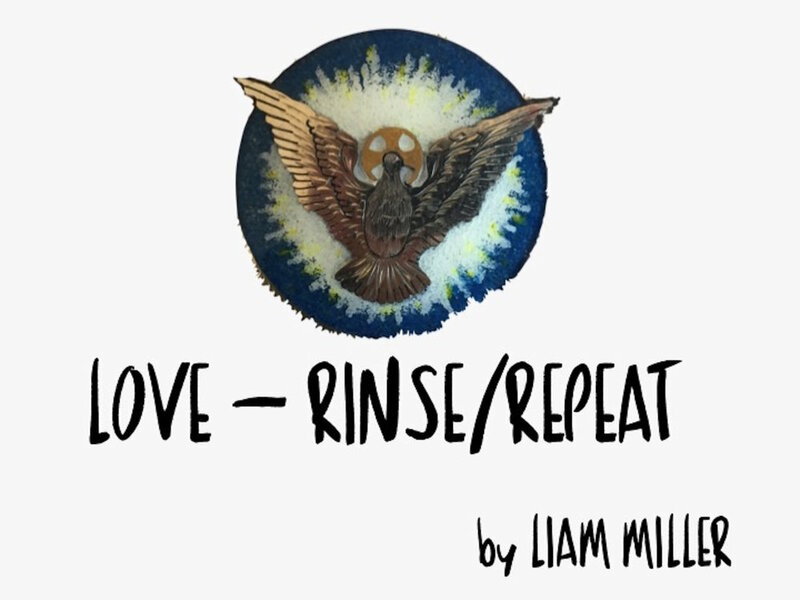 Love Rinse Repeat is a cultivation of conversations with theologians, practitioners, and miscellaneous church folk to help promote a theology with the blinders off. What you hear/read isn’t some set-in-stone final and decisive decree on faith and its expression. Rather, you’re overhearing a conversational practice run, which just happened to lovingly find its way online, but will certainly need to be rinsed and repeated before we’re through. That way, if, like Job’s friends, we have to stand before the whirlwind to answer for our words, we can say, “it was just a practice." "Following Jesus is a big, weird, amazing thing that individual believers, movements, and denominations have expressed in remarkably different ways over the centuries"
This post develops a proposal for a role of doctrine in a post-Christendom, global church. It explores writings by George Lindbeck and Kevin Vanhoozer, arguing their contributions restrict the potential for translation through calls to unity. To move forward I engage the function of doctrine, drawing on James H Cone and Ellen T Charry. They show doctrine needs to be transformative, meeting people in their contexts and drawing them into the mission of God. Finally I examine the potential of the role of doctrine as translation; a process empowering both the renewing and rebirth of past expressions of doctrine, and the emergence of entirely new forms built on the endless array of communal and individual experiences of God. In Scripture naming has a transformative power, it often reflects an encounter or expectation. This post explores four scenes involving naming (Moses and the burning bush, Hagar and El Roi, Jacob becoming Israel, and Simon becoming Peter). For we who encounter God, we too receive a transformed name – not necessarily in a literal sense like Peter (though that is the case for some) – but our name, our identity, our history and future is transformed by being conformed, swept up, in the life of Christ, in the history and future of God. We don’t lose our particularity, any more than Peter did, but we are drawn into the mystery of God and sent on God’s way – sent on the way of God who hears the cry of the oppressed, and sees the abandoned. Part one identified the problematic way revelation has been conflated with Scripture, and how the Bible has been forced to serve as an epistemic ground for all other Christian doctrines. I offered a way of untangling Scripture and revelation and hinted at the importance of imagination. This concluding piece explores the compatibility of revelation and imagination, the role of imagination in the canonising of tradition, and the importance of imagination in the ongoing reception of revelation. The goal is to continually tie revelation back to God's communicative self-disclosure for the purposes of converting human imagination to the missio Dei, and to develop a non-competitive, complementary account of revelation that benefits rather than is threatened by cross-cultural encounter. If imagination limits revelation, then different imaginative worlds (in different cultures or historical epochs) set different limits. The shifting imaginative borders of cross-cultural encounters provide greater imaginative potential to receive, interpret, and remember God’s gracious self-communication. This allows for a non-competitive relationship between Scripture and revelation in different times and places outside of the history of Israel and the Church. Doctrine in the wake of the Reformation(s) and Enlightenment(s) has witnessed both the conflation of revelation and Scripture, and, relatedly, the use of Scripture as epistemic grounding for all subsequent theological claims. A corollary of this movement is that Scripture tends to be discussed outside of its role in the economy of salvation and missio Dei. This births manifold problems, which must be addressed when seeking to develop an account of revelation, Scripture, and imagination. This post, and part two tomorrow seek to unpack these problems and offer a constructive and non-competitive way of accounting for the relationship between revelation, Scripture, and imagination. "The soteriological purposes of revelation require more flexibility than many contemporary doctrinal formulations allow. Therefore it is helpful to stress that revelation is God’s communication to humankind. Communication makes space for flexibility because it is concerned with the impact of its content not the protection of its form." This is a double feature. The first interview is with Pastor Sandra Dumas, the second, her husband, Pastor William Dumas. They are the Senior Pastors of Ganggalah Church and leaders of Ganggalah Training Centre and Ganggalah Aboriginal Arts.